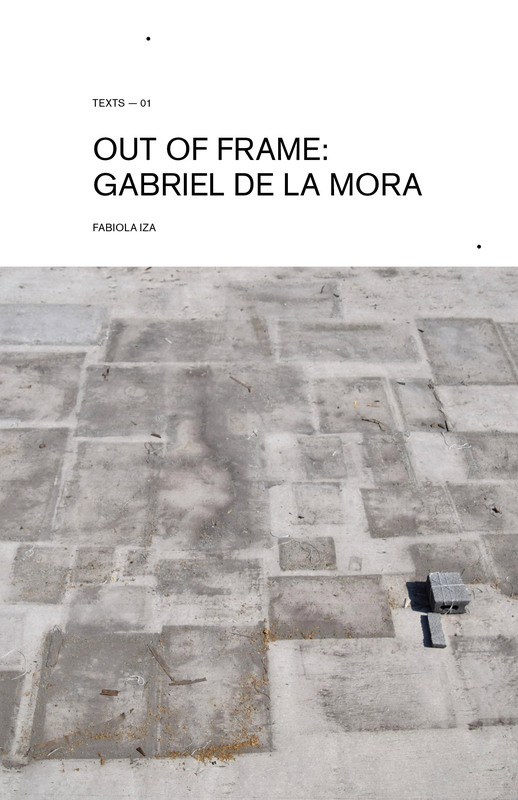 Out of Frame is a monographic study of Gabriel de la Mora’s recent production. Consisting of three essays and accompanying images, the publication analyses the working methods that lie behind the artist’s material output. Instead of aiming to offer another reading of his series of works, mainly made of debris and discarded materials and which seek to erase the boundaries between drawing, painting, and sculpture. Thus this book distinguishes itself as contributing to the study of his working methods or processes rather than to an object-oriented focus on his finished artworks. Therefore, Out of Frame focuses on the influences that nourish de la Mora’s work along with the methodologies he devises to manipulate countless raw materials. The essays tackle questions regarding topics such as animism and the role of the collector, finitude, commodification and the ontology of the art object through the lens of the artist’s production. Fuera de Cuadro / Out of Frame will be the first in a series of digital publications that the artist will produce in collaboration with young curators and writers about his work, with this initial title also giving name to the budding series. The Fuera de Cuadro publication series seeks to to unveil the physical and mental processes entwined in De la Mora’s creative process. Each invited curator/writer will determine the scope of each book ultimately offering their interpretations on the “out of frame” theme.